Action Limousine NJ provides luxury transportation to accommodate the many requirements of today’s young adults for their NJ prom night and other formal activities in the NJ area. We are the NJ transportation company here to meet your needs whether that be a NJ limo, NJ Rolls Royce, NJ SUV Limo or NJ Limo Bus. Safety and quality of service are what you can expect from your chosen NJ area limo company! So give Action Limousine a call and let us help plan your special NJ prom with transportation that will make you the super star of your NJ prom! Action Limousine wants parents to feel confident that your children are in good hands with our professional chauffeurs and top of the line quality NJ limos. Click here for more prom information. Post by NJWedding.com – New Jersey’s Wedding Planning Resource. Welcome to Action Limousine, the experts in NJ Wedding Limousine Service since 1979! When it comes to getting you and your wedding party to the church, ceremony or reception, there’s simply no room for error. For your Thursday wedding limo service you need to be absolutely sure that you’ve hired a limo company with clean and reliable vehicles, dedicated chauffeurs, and customer service that’s there when you need it. Since 1979 more newlyweds and wedding parties have placed their trust in the professionals at Action Limousine in Garwood NJ. Action Limousine has a beautiful, climate controlled showroom for you to look at our impeccable fleet located at 643 South Avenue Garwood NJ. We encourage you to come view our fleet for your very special wedding day! If you want to make your wedding day special, then take our dependable Action Limousine wedding transportation services as our drivers are trained to give you the best transport services on your wedding day. We give specials for new and upcoming Thursday weddings! For your queries, call us at 732-754-4660 . You can also email us to get a price quote. We understand that good customer service starts the moment you call our New Jersey office to make your reservation. This is the reason why we have the owner available at all times to take your call. John is extremely knowledgeable and can help you select and book the right prom limo whether you’re in NJ or NY – we have what you’re looking for. When your chauffeur shows up they will give you the high quality customer service you expect. Not only will they be on time, but you will find that they will be there to meet all the requests you have. When you plan your schedule for your prom in advance we can even ensure that all your needs are met before you even get in the limo. This will help to ensure that you get the best experience for your special prom night! 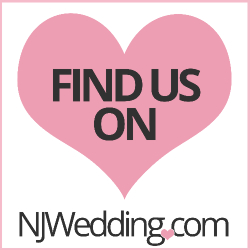 We are NJ Wedding specialists with hundreds of success stories. We invite you to visit our Wedding Showroom in Garwood and check out our online Wedding Gallery and Wedding Testimonials. Once you check us out by reading our reviews on Wedding Wire below, we are confident you will choose Action Limousine to add a significant dimension to your Wedding Events. Action Limousine is now featuring event planning and day of coordination for any event you need to run smoothly! Knot Just Wedding’s is ran by family member, Michelle, who has been in the wedding business for many years! This brand new nj event service is located at the same building as Action limousine: 643 South Avenue Garwood NJ! It would be our pleasure to help you with your special day! Whether it be a wedding, birthday party, baby shower or bridal shower I’d like to make your day be stress free and flow accordingly! Please contact Michelle at 732-735-3189 or email her. Action Limousine specializes in NJ wedding limo services to accommodate the many requirements of today’s couples for their wedding transportation needs in the New Jersey area. Action Limousine provides the finest, newest and safest wedding limos in all of New Jersey.We offer to all our wedding couples a fleet of late model and immaculate wedding SUVs, wedding party buses, wedding limousines, and our vintage Rolls Royce wedding limousines– and wedding limo coaches for larger groups. So give John a call and let him help plan your special NJ wedding limo outing with transportation that will add that special touch to your special day. Our large NJ wedding limousine is perfect for a larger group demanding luxurious wedding transportation service in the New York and New Jersey areas. Our beautiful “wedding white” 42-passenger limo bus sports supple black leather interior couches and a solid wood bar. The interior of our NJ wedding limo bus features a state-of-the-art surround sound system with CD, DVD and iPod hookup. Check out the 42″plasma TV in the rear and the 32″ plasma system in the front of this party animal. Call us today for a FREE quote or hourly rate for a NJ limo bus, NJ limo, NJ SUV or vintage wedding limo. Picture your special group arriving at your bachelor or bachelorette party in a stylish New Jersey wedding limo. Our “wedding party” limo bus comes complete with red carpet, wedding horns and special pricing to accommodate your budget for transporting larger wedding groups. From a unique light show wired with fiber optics to our lit icon ceiling, this NJ wedding shuttle is the ride of a lifetime. Action Limousine’s new limo bus is also an ideal choice for your Atlantic City holiday traveler’s limousine. Plus, the next time your plans call for a tailgate party, a New Jersey/New York area tour, or a corporate occasion for any large group, call John to book your NJ limo bus. Need a NJ Limo Service? Our NJ limo service offers one of the largest selection of company-owned sedans, executive NJ limos, limo vans, stretch SUVs, NJ limousines, mini buses, vintage NJ limos, and all sizes of NJ limo buses. When you need a NJ limo for your trip transportation, airport limousine service, NYC area limo tours, school prom limo service or any other special event click on the fleet section of this website or visit our showroom in Garwood, NJ and select the vehicle that will exceed your expectations. Action limousine has provided quality service for NJ limo customers for over three decades Call us at 732.754.4660 for additional information about affordable airport NJ limo service, NJ wedding limousine service, New Jersey executive limo services, NJ prom limo services, casino limousine service, NJ limo tours and New Jersey limo sporting events. Whether you and your party need an executive sedan, luxury NJ limo van, a vintage wedding limousine or a 30-passenger VIP NJ limo bus, Action Limousine owns a stellar collection of fine NJ limos. It always pleases us to offer special limousines to accommodate your special celebration group. Check our NJ limo buses and NJ limo coaches for corporate, executive, tour or sporting events for up to 55 passengers. Our world-class fleet of VIP limo coaches are perfect for weddings, sight-seeing, sweet 16 celebrations, Bar Mitzvahs and cruise port or airport transfers.